Today, after nearly six months of hard work, the five finalists of the Novo Nordisk Innovation Challenge — Adelie Health, xBird, SimpleC, MedoPad and HumanCapitalWorks — participated in a capstone “partnering day” at Novo Nordisk Headquarters in Copenhagen, Denmark. ICYMI: Here’s a look back on some of the top moments from the past six months. Each company’s journey began in September, when MATTER and Novo Nordisk announced a new partnership to foster meaningful collaborations to improve diabetes care. 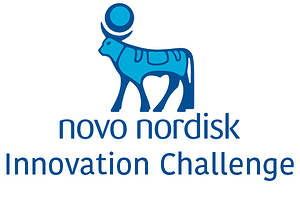 The challenge called on innovators to develop ways to use data generated by Novo Nordisk’s marketed pen injectors to improve the care of, and quality of life for, people living with diabetes. For some innovators, the announcement came at the perfect time. JEMS Technology founder Kevin Lassar said that the company had just started discussing expanding their platform for diabetes care. “The timing of the challenge was fortuitous,” Kevin said. “The ability to potentially work with the leader in diabetes care was irresistible. You can read the rest of Caitlin's story here.